For most people, vacuum cleaners are a major component of their home cleaning supplies, but many of them choose to buy ineffective consumer-grade models that don’t hold up to heavy use. If you have a small house and don’t clean very often, then this can be a good option. However, if you want to take your cleaning to the next level, you have to get a commercial vacuum cleaner. Why Use a Proteam commercial vacuum? Simply put, these machines are built to handle much more than your average cleaner. Whereas most of the vacuums you find at the department store are made for weekend cleaning, commercial models are designed to work every day without fail. This means that they are much more powerful and can provide much better results than anything else you can find. So, if you are tired of replacing vacuum cleaners, or you want to make sure that your home is as clean as possible, then you should go commercial. In this case, we’re going to be looking at a particular brand: Proteam. This company makes some high-quality cleaners that have both the power and versatility that you need. While many commercial vacuums are relatively bare bones, ProTeam offers some innovative solutions to get your house looking its best. Let’s see what they have to offer. 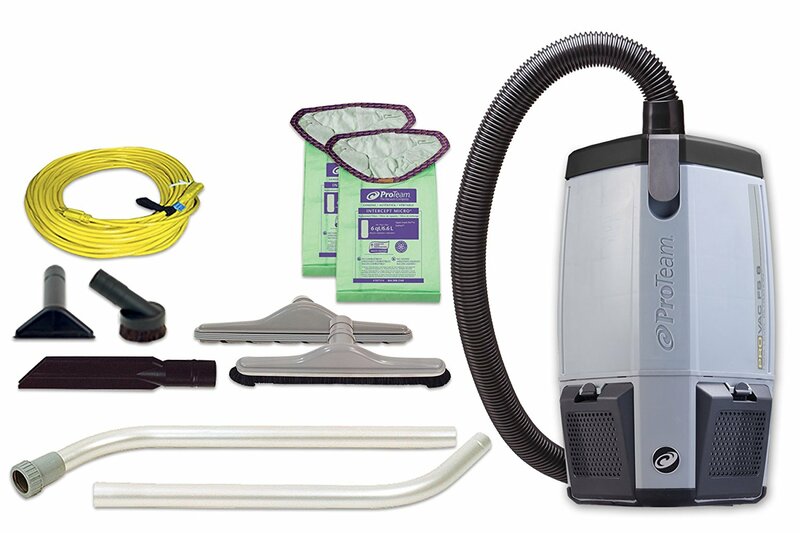 Starting us off is a powerful backpack vacuum from ProTeam. As you will see, when it comes to making the cleaning process as easy as possible, wearing the vacuum on your back is the best way to go. Not only can you clean a lot faster, but it’s much more comfortable in the long run. The secret is the thick padded straps that distribute the weight evenly and effectively. As far as power goes, this is at the top of the heap. 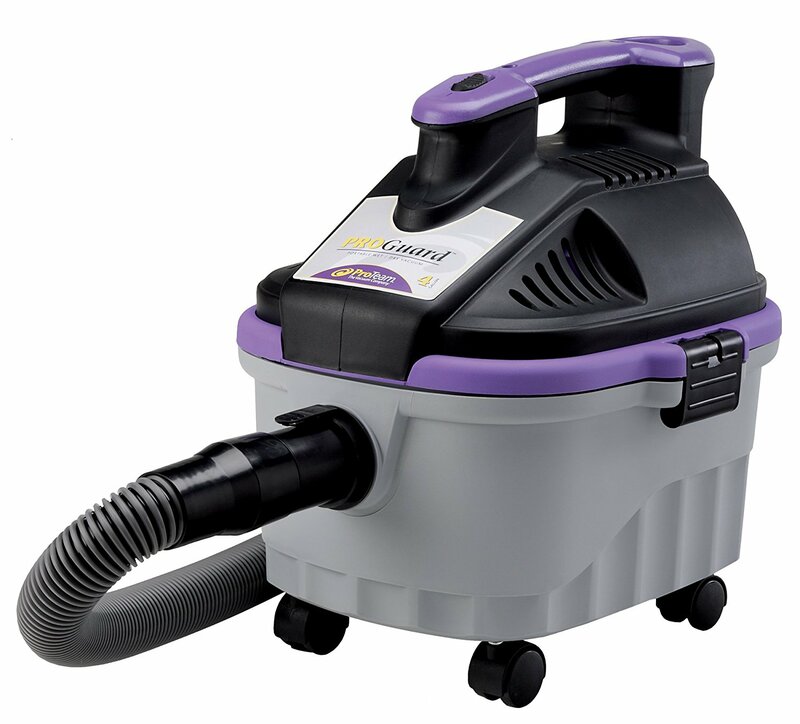 An 1188-watt motor drives this machine, making it a better option than most other vacuums out there.It even has four levels of air filtration and two different vacuum heads to make it easier to clean on multiple surfaces. All that, plus a three-year warranty makes this a fantastic buy. Overall, you still get the same level of performance, even without the added power boost. This vacuum has four levels of air filtration, an extra long 50-foot cord to provide exceptional flexibility, and two different vacuum heads to clean any floor. This may be a step down from the CoachVac, but it’s still far above any consumer-grade model you can find. If wearing a vacuum on your back seems a bit odd to you, then you might prefer a more traditional take with this upright model. You don’t get as much power or versatility, but that doesn’t mean that you get a weak performance. This vacuum has a 924-watt motor, which is still better than most consumer-grade models out there. On top of that, it has four levels of air filtration. The head is L-shaped to make it easier to navigate around furniture, and it adjusts to the floor so that you can go from carpet to hardwood without having to turn it off. Overall, as far as uprights go, this is a stellar model to get. Getting back to backpack vacs for a second, this unit from ProTeam is designed to be as versatile and reliable as possible. The secret to this model is the GV Power Head, which acts as a standard upright vacuum, delivering high-quality results on all kinds of carpeting. Overall, this is a lighter and more chic version of the other backpack units that we’ve seen. It has a six-quart capacity, three levels of filtration, and a five-year limited warranty on the motor. 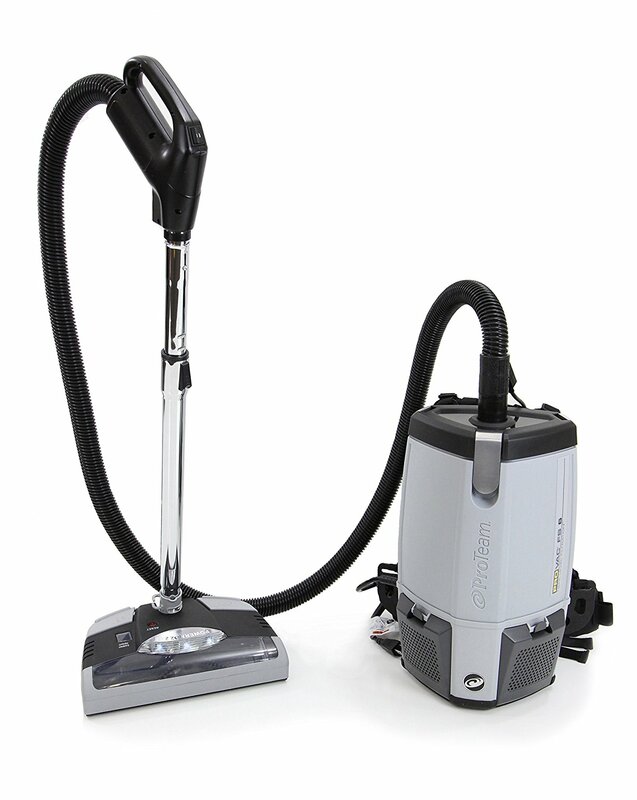 This particular vacuum is built for restaurants and other retail spaces, so it should do wonders for your home. Our final model is something that can work in a wider variety of environments. While the units above are designed for indoor use, this vacuum can tackle almost any mess with ease, including liquid spills. Because it has a bagless design and a wet/dry filter, you can soak up any water or other liquid with ease. 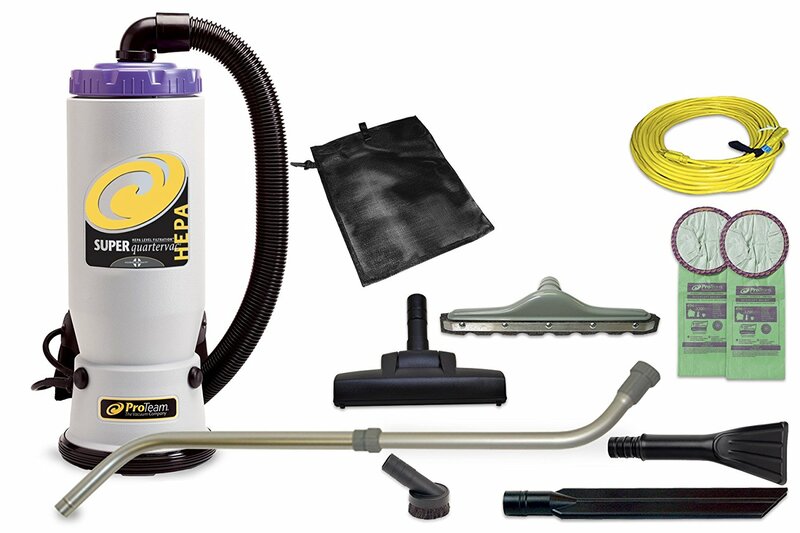 Overall, this is a great vacuum if you want to keep your garage or car clean.While it does come with a vacuum head for carpeting, it’s cleaning power is somewhat limited, making it a smarter choice for workshops or car detailing. 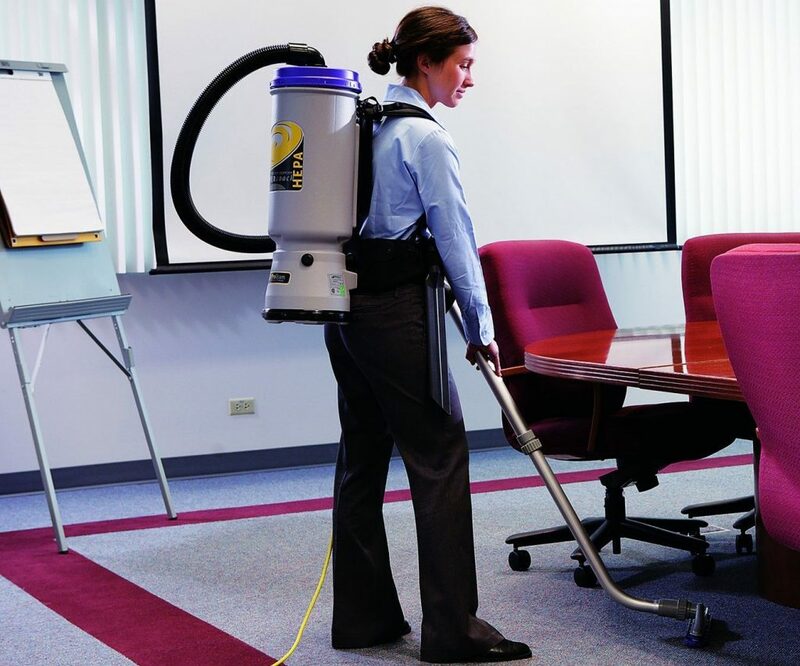 When comparing Proteam Vacuums, it’s easy to see that the backpack models are much more useful and versatile than anything else that the company has to offer. As such, we highly recommend the Super CoachVac as it has the best features and most power of anything else we’ve seen. If you want to make short work of any cleaning project, that is the vacuum to buy. Considering that the power dynamic is pretty equal on these vacuums, what you have to pay attention the most is the design of the machine itself. This will help dictate how well you can clean your home, as well as how much storage space you need for the unit when it’s not in use. For commercial vacuums, there are three primary varieties. This is the most common type of vacuum cleaner, and it’s probably what you’re used to already. The benefit of an upright is that it’s very easy to use and works well on all floors. The downside, however, is when you have to clean other surfaces, as you need attachments and accessories to get the job done. If you want extra versatility while getting the same level of cleaning power, then a canister vacuum is the way to go. These come with a vacuum head that is separated from the motor so that you can clean from top to bottom with ease. The downside to these vacuums is that they are usually a bit heavier and harder to lug around, especially up and down stairs. Most people aren’t familiar with this kind of vacuum, but it’s much more convenient than the other two. By putting the canister on your back, it’s much easier to carry and move around while you vacuum the floor and all other surfaces. Basically, if you want the benefits of a canister model without having to drag it behind you, this is the vacuum to get.